At 6:00 p.m. this evening, Eastern Time, here in the USA, we will be collaborating with our friends at CureTalks to provide an introduction to focal laser ablation in the treatment of prostate cancer. To sign up, to listen in, or ask questions, please click here. 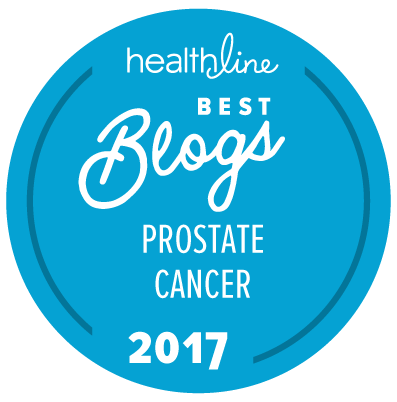 Focal laser ablation or FLA is best described as an investigational form of treatment for carefully selected patients with some forms of prostate cancer. It certainly isn’t for everyone. Although FLA — in differing forms — has been available as a form of treatment for men with limited amounts of localized prostate cancer for several years, at a few highly specialized centers, it is only in the past 2 or 3 years that a number of centers have started to offer this type of treatment on a more routine basis. Who really is and who really is not a good candidate for FLA? Or is this still a question without a clear answer? How accurate is multiparametric MRI in identification of lesions that need treatment? Should FLA be limited to patients who only have one positive lobe (as opposed to cancer in both lobes)? What are the different types of FLA and who is doing them? When are we going to see some actual outcomes data from anyone? What are the risks and the adverse events from a patient perspective? Should any patient who is a good candidate for active surveillance really be considering FLA at all until we have some meaningful 5-year (and better still 10-year) outcomes data? Is Medicare or any commercial insurance provider covering the costs associated with FLA as yet? Prostate Cancer International and The “New” Prostate Cancer InfoLink understands the potential attraction of FLA as a form of “lumpectomy” for the treatment of small amounts of prostate cancer for men with early stage disease. However, we should be clear that, as yet, we cannot recommend this form of treatment to anyone. There are no significant outcomes data published to date, and there are all sorts of tales of side effects of FLA that left patients with a variety of different clinical problems. On top of this, as is well understood, prostate cancer is commonly a multifocal disease. This means that focal therapy is likely to fail in men who may appear to have only one or two small foci of prostate cancer at time of diagnosis, but who actually, already, also have other, smaller foci, that are not yet evident on even an MRI scan.